The Coupé was known as the Gran Sport and was built from 1947 to 1952. Production was around 153 cars. The last GT cars built by Cisitalia, only five examples of the 202D were built between 1952 and 1955. 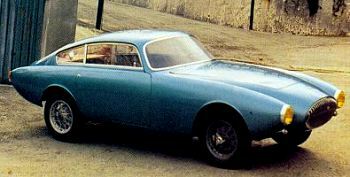 Developed by Savonuzzi the first example was a Coupé constructed in aluminium by Stabilimenti Farina. It was powered by a 2772cc in-line four cylinder BPM engine, derived from their maritime motors and produced 160bhp @ 5,300rpm. 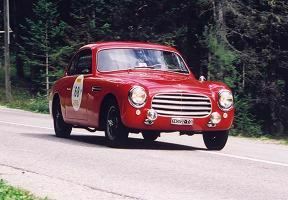 The front suspension was independent whilst the rear used a modified Lancia Aurelia B20 GT de Dion setup. 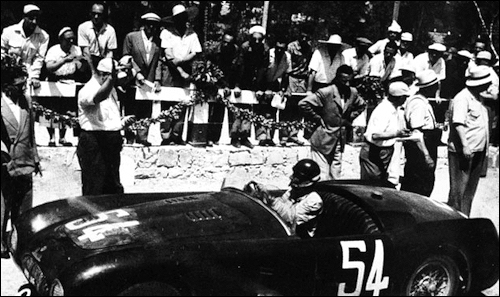 For the Mille Miglia that year a competition version was produced, with two twin carburettors, 180bhp and various other changes such as no bumpers. The wheelbase was 2,450mm whilst the empty weight was 850kg. A four speed gearbox was fitted, as were disc brakes on all four wheels. It was going well until the clutch disc gave way and Dusio (who was driving) was forced to retire. 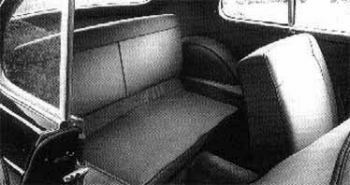 The new car was first shown at the 1952 Geneva Motorshow and in total three Coupés and two spiders were built, powered by BPM engines of either 2.8 or 2-litres. Each example has minor detail differences from the others, two are known to be still in existence. Ost. rok modelu 202. Zbudowano 485 egz. Coupé i cabrio proj. Pininfariny, Frua i Vignale. Piero Dusio wrócił do Włoch. 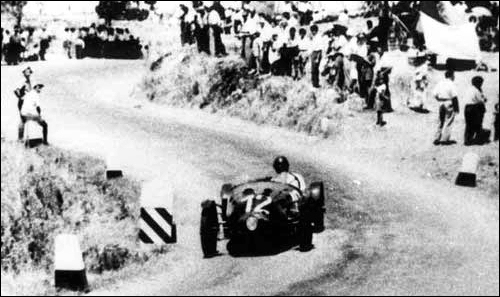 Cisitalia Colombo 1100 S ("Falco") at Targa Florio. Cisitalia 202 SMM (Rosario Montalbano) at Targa Florio.